The recipe is a slow cooker recipe, that could probably be adapted to for the instant pot. There is a lot of prep for this recipe. So if you are going to run the slow cooker during the day while at work, I suggest doing some of the prep the night before. Stir in ketchup, coffee, brown sugar, and 1 tbsp of mustard. Simmer until thickened and measures about 4 cups. Transfer 2 cups of mixture to slow cooker and keep reserve for later. 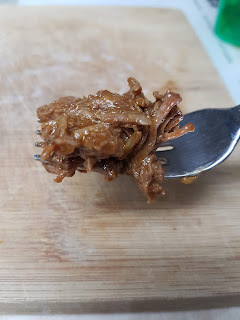 Season beef with salt and pepper and nestle in slow cooker. Cover and cook in slow cooker for 9 to 11 hours on low or 5 to 7 hours on high. When beef is tender, transfer beef to a large bowl and shred into bite size pieces. 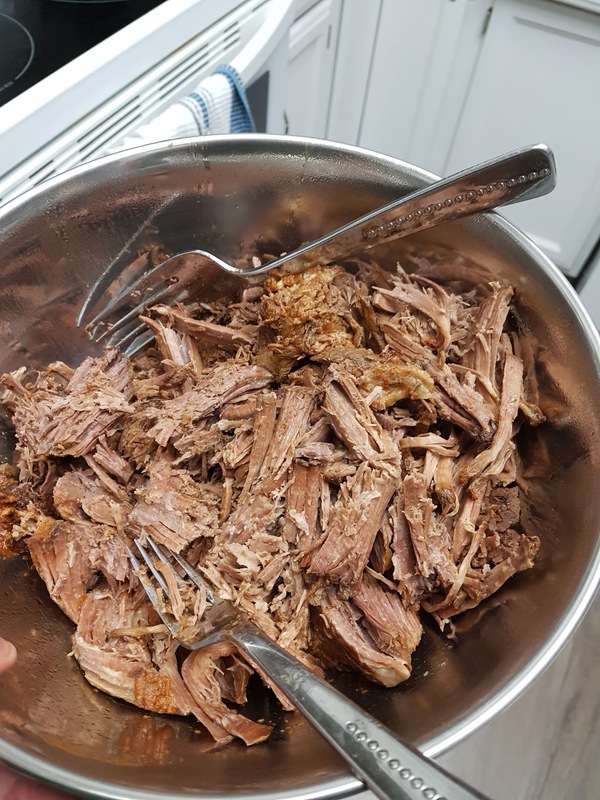 Toss shredded beef with 1.5 cups of sauce and keep remaining for serving and keeping the beef moist. I skimmed fat, but didn't strain. I kept the bacon pieces in. When I reduced the sauce, I added the mixture then reduced. I just didn't reduce to one cup. I just let it go for 20 minutes.